We deliver Dumpsters anywhere in Los Angeles. From East Los Angeles to West Hollywood, your area is covered by Nu-Way. You can load 1,000 lbs. worth of debris into it and keep 7 days. 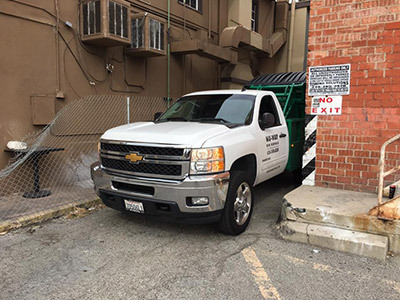 Our dumpsters are small and nimble so if you need one delivered to a tight spaced location in Trousdale Estates our little pick up trucks will place your bin wherever you need it to be. Call us anytime and we will give you an immediate quote. For more information on our Los Angeles Dumpster Rentals. The City of Los Angeles is the second-largest metropolis in the United States, and headquarters to the film industry. It plays home to neighborhoods such as Hollywood, which features numerous film studios among many other related attractions, and offers a number of additional landmarks for exploration. Such attractions include MacArthur Park and the Griffith Observatory. 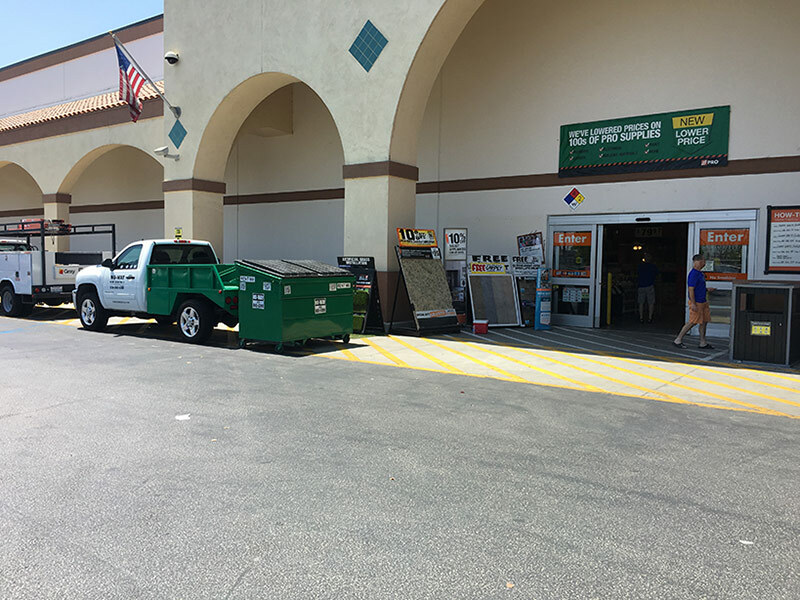 Los Angeles residents trust NU-WAY Bin Rentals with all their trash bin needs, as they know the company makes a solid point of providing reliable, efficient service. Bins are hand-washed before delivery, and feature locking lids. Call (626) 840-6300 for more information. Make getting rid of debris–any type of non-hazardous debris–a simple, streamlined process by working with NU-WAY Bin Rentals. Service is always fast, reliable, and friendly, and rates are always competitive. Why work with any other dumpster rental company? Many construction companies and general contractors enjoy the use of our smaller dumpster on their sites versus a roll off. Quick turn around times, high weight capacities, extended rental periods, and the ease to move the bin around make it an easy choice. BE CAREFUL with heavy materials such as brick, dirt, tile, concrete, plaster, granite as those can cause you to overload quickly. When loading heavy items please pay attention. Generally, these debris types weigh 1,000 -1,500 lbs per 1 cubic yard. Additional dump fees may be applied if the bin exceeds 1,000 lbs. This can all be explained over the phone to you or by our drivers who can instruct you on where to load so you won’t make it too heavy pertaining to the material you are disposing. 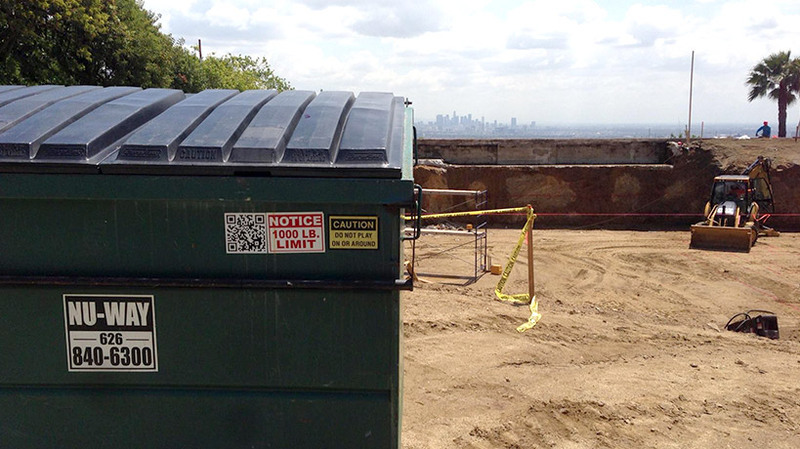 For more on dumpster rentals in Los Angeles, please contact NU-WAY Bin Rentals today.